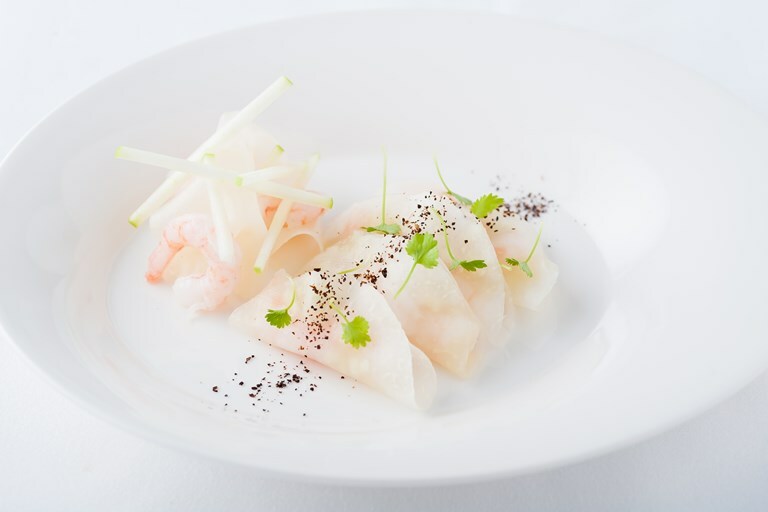 In this delicious prawn starter by Simon Hulstone, sliced kohlrabi is pickled in a vacuum bag to give the vegetable a soft, malleable texture. This process enables the kohlrabi slices to be used like tacos, which the chef fills with a delicately balanced combination of apple purée, lemon peel, prawn and Nepalese pepper. If available, Simon Hulstone recommends using Norwegian prawns, although king prawns will work just as well.